Quite right…It’s been there for years. Year…especially in the last 8 years. Surfacing in dreams and memories. Talking to someone you should have. A confusing, dismal road as a result. Road to continue…Don’t listen to them. Make right now. Pursue a dream! The Box was powerfully active now. But there was no one there at first. Feet tall ferocious looking warrior. Years old, afraid to speak. “Of which what words could catch my ears? Kindly. “We have a Time Bomb to deliver. That when told will have an explosive effect. A liar. And the Watchers won’t like that at all. Varence said of my writing in the notebook. Lies. I wish Galahad was here. From this point on?” I had to ask. To get easier?” I asked. You…I’ll raise hell they won’t forget. “Let’s just get to it.” Varence directed. “5 timelines?” I had to ask. Ceres sighed. “Do not even start that again! “It’s in her voice, do you see?” Varence teased. Only here for support, not to harm you. And most obvious being the American flag. The classic flag of the United States. Permitted was because of that man. At the wrong time has dire consequences. “What do you mean until now?” I asked. Were as mystified by the reaction as I was. “In the spring.” Varence said to Ceres, to Vala. “Don’t say it.” Ceres said to him. “You will see.” She smiled. “I’ve dreamt about that house, yes! You wish for?” He asked. “Listen, I just want that simple good life. He strained to understand my meaning. Messages, but I am seriously fed up. Hell could break loose. So don’t push me. They’re already fed up with you. How about we broker a hostage exchange… all the nasty things go back in the box, and the good stuff can come out to play! THANK you Bill, Lida and Valkyrie – and thank you watchers for watching over us and restoring the timeline. I will happily deal with the headaches and nausea if it means getting things back on track. Dreamwalker…yet again it took me a while…but LMAO! Great link! Got the worst vertigo earlier…felt sick…not the kind I have ever experienced before…so, yeah…the timelines are being repaired. Thanks Valiant and family…Will be so glad when the fractures in my psyche heal. I’ve suspected for quite a while that the splintering of timelines were/ have been the cause of my bouts of madness. To have precognition on top of it all, as I’m sure it has happened to many others…it really messes with us…we get our wires (messages, impressions) crossed quite badly as a result. “THE WHITE ROOTS OF PEACE” by PAUL A. W. WALLACE…A.K.A KNOWN AS THE IROQUOIS BIBLE…DEGANAWIDA…”THE PEACEMAKER”…WAS VISHNU??? OH BOY! HIS SPOKESMAN WAS HIAWATHA! REMEMBER THIS NAME…JACENSESA..
Last one, I swear! But this was too good not to share! LOL! Synchronicity! “It’s interesting to note that Venus has just spent several days on Aries 13: A Bomb Which Failed To Explode Is Now Safely Concealed… Venus, of course, is going retrograde, so, it’s going to go back over this degree in a few day’s time. This degree can be about defusing situations- or not. Things could get out of control pretty easily. The bomb squad are no doubt treading carefully. Thank you for this post Bill, much appreciated. I have been out of hospital since jan 21st and my intestines have been slowly healing after the aerosol poison which nearly killed me – but Im here thanks to intervention. I was put into a psych ward just for telling them what happened and had 3 attempts to get me while I was inside – which resulted in investigation and my immediate release.. Anyway very thankful Im on the mend and Im happy to get my implants out I didn’t know I had.. omg. I thank you for letting me use your angel picture for protection. Arch angel Michael has helped me along the way. Much love from Sydney Australia, Leonid ps. Im staying in the light and keeping positive and peaceful regardless of whats been happening. Its been very very challenging to put it lightly. All the best Bill and Lida, warm universal blessings. Oh Leonid, my heart goes out to you! I’m very sorry to hear all the troubles you’ve recently been through. Thankful that you’re able to rejoin us now, though. Clearly you have good allies looking out for you, even though they had you down for awhile, you got back up, and are now ever better than before (with implants out, and awareness heightened!!!). I’m always thankful to hear of the Archangels intervention, they have often helped me too, more often in my mind than body, they seem to work on the soul level that way. Anything we get that helps us increase the Light of God within is truly awesome. Robin, Dave, Troy…..thank you!!! You always make interesting comments, that help me in pushing those puzzle pieces together. 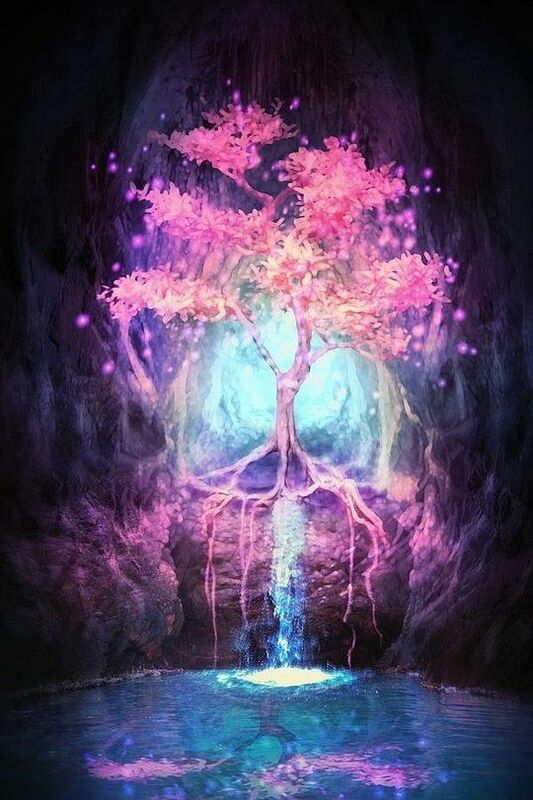 Dear Valiant…..I wish I could put into words how grateful I am to you…..for being willing to be this messenger for us and so many others that need to know certain things…..working to spread the information given, far and wide. I’m sorry your path hasn’t gotten easier yet, but I am hopeful that soon you will reap your fair share of blessings from God. God bless you. Lida and Valkyrie, thank you and may God bless both of you for all your support of your son and brother, and for us, too. *trematode* (noun) [Greek trematodes, fr. trema, trematos, hole + eidos form.] Zoological. Any of a class (Trematoda) of flatworms including the flukes and their allies. Cuteness overload! Is that a Courting Flute he’s playing??? 😉 😉 This one is especially for you, DREAMWALKER. 😀 And as I recall…he was ALSO born of a virgin! “For ten days in June, the Yankton Sioux Reservation on the windswept high plains of South Dakota was a gathering place for indigenous tribal leaders from around the globe and hundreds of Native and Euro-American listeners. The occasion was the Star Knowledge Conference and Sun Dance, convoked by Lakota (Sioux) spiritual leader Standing Elk (Laurance Zephier) in response to a vision he experienced. The vision showed that Native American spiritual knowledge about the Star Nations was to be shared with the larger non-Native world. This Conference also fulfilled ancient Hopi and Lakota prophecies. Spiritual shamans from the Plains tribes (Lakota, Oglala, Dakota, Blackfoot, Nakota) were joined by spokespersons from the Eastern (Iroquois, Oneida, Seneca and Choctaw) and Southwest (Hopi, Yaqui and Mayan) tribes. In addition, the chief Maori shaman came from New Zealand at the southern end of the globe, as well as a professional who formally resided in the land of the Saami people from the part of Scandinavia above the Arctic Circle. The Native teachers came because they had seen signs then occurring which had been predicted by ancient prophecies. These signs signified to them that the time had come to speak openly about their most closely-held oral traditions. These traditions include their origin from the stars, the influence of Star People visitors on the formation of their culture and their spiritual beliefs and ceremonies, and the imminent return of the Star Nations. Unprecedented as this gathering was, further precedent was set when Standing Elk, in a published announcement with apology to all Elders, declared that this sacred knowledge “is to be shared with our brothers of the four directions” (the entire non-Native world). Additionally, he invited world-famous Euro-American experts on the Star Visitors to also speak at this gathering of elders. Among those speaking were such notables as former NATO intelligence Sgt.-Major Bob Dean, Harvard Professor John Mack, MD, author Whitley Strieber, former acting Finnish Surgeon-General Rauni Kilde, MD, University of Wyoming Professor Leo Sprinkle, Ph.D., Star Visitors researcher-psychologist Richard Boylan, Ph.D., and others. He spoke of as a child witnessing large UFO ships flying down the nearby Missouri River valley, green balls of light four times larger than a school auditorium. Through portholes on the sides of these ships he could see shadows of persons inside. During one encounter he met a seven-foot-tall man in white clothes who appeared like a middle-aged Caucasian. The room was filled with light. It contained computer-like machines which operated on light and “the law of thought”. Standing Elk talked about meeting another Sioux Medicine Man who confirmed that there are Star Visitors. Some are like ants, with big, black eyes and long fingers and toes. Some live out in the cosmos and some on the other side of the Moon. Sioux legends relate that the Sioux had their origin from the Pleiades, with others coming from the Sirius and Orion systems. The next speaker, Oglala spiritual advisor Floyd Hand, continued the religious theme, speaking about the Avatars (world religious teachers), such as Jesus, Buddha, Muhammad, and White Buffalo Calf Woman, (the Star Person who gave the Sioux their spiritual history, health practices, and ceremonies). “The Avatars are Star People”. He said that seven different galaxies are represented on the Earth. Floyd Hand urged people to get away from urban hubbub and sharpen their senses. He added, “Start putting in a garden, put away food; it’s going to be hard. There will be a new government.” Hand sees the end of the current Fourth “World” on January 21, 2021. Her first remembered contact was when she was in a severe car crash. As she laid there mortally injured, a small Star Visitor was at her side working on healing her injured liver. Later the hospital staff could not understand how she survived the crash. Later she remembered Star Visitor contacts as a child living among the Saami. She reported that there is a change of attitude in Scandinavia and the European Union about cosmic contacts. She hears positive reactions to Star Visitor encounters. In Scandinavia the so-called “Grey aliens” [Zetas] are rare. Most common there are the small, short, dusky, wrinkled “Dwarf” [Onoogie star race] Star Visitors. Her country borders Russia, whose cosmonauts were threatened with death if they talked openly about UFO encounters. Dakota spiritual leader Chanupa Wambdi Wicasa (Deer Man) startled those listening by stating that then-current Pope John Paul II was a Pipe Carrier (a Native-American spirituality tradition-keeper). The Pope fasted and entered into a sweat lodge ceremony with the Dakota while visiting them in Canada, and congratulated the Dakota for keeping their traditions and ceremonies. An inipi (sweat lodge) ceremony for a Sun Dancer was led by Panther on the night of June 15. As we prayed inside the totally-dark lodge, there appeared two rectangular-shaped lights, about the size of bricks, dancing near the upper east wall. Panther commented that there were six spirits inside the lodge. After the lodge, we learned from others waiting outside that, during the sweat lodge, a high UFO went across the sky. At first it looked like a satellite, but then it stopped and gyrated in geometric patterns of flight. Eagle Pipe Man (Galen Drapeau), a Lakota Medicine Man, is a carrier of the Elk Medicine Bundle. His spiritual path was deepened when he almost died during brain surgery, and had an out-of-body-experience where he met an old Indian medicine man adjusting energy particles coming out of people’s bodies. Eagle Pipe Man told of seeing UFOs flying over Bear Butte, a volcanic peak in the Black Hills and the sacred heart-site of the Sioux Nation. Then he spoke about the Star Nation Altars. These are sacred ritual-object altars kept by certain designated spiritual leaders as shrines where knowledge of the Star People is gathered, kept and honored. The Lakota Elder said that Star Nation Altars send a blue light up to the heavens, which the Star People can see as a beacon. Eagle Pipe Man had an advising Dream one year ago to go to a spiritual gathering where sacred bundles and pipes were placed together. That Dream was fulfilled on June 23rd at Greengrass, South Dakota. In an unprecedented joining, the three sacred bundles of the Sioux (the pipe), the Cheyenne (arrows) and the Arapaho (sacred hat) were brought together. This fulfills a prophecy about the beginning of the Thousand Years of Peace. Rod Shenandoah, a Blackfoot-Oneida medicine man, in a side lecture during the Sun Dance ceremonies, talked about the visitations from the Star People which he, Wallace Black Elk, and many other medicine persons, chiefs and other Native Americans have experienced. He pointed out that “Indians consider themselves privileged” when such Star Nation contacts occur. They consider such visits to be sacred events. Wallace Black Elk had a visit by Star Visitors while he was in isolation on a spiritual hanblechia (fast and Vision Quest). In a final teaching round adjacent to the Sun Dance, Standing Elk said that the Star People are here to teach, to foster spiritual growth, and to prepare us for dealing with the challenging Earth Changes coming up in the next several years. The Star People are included as honored Elders in the Native American key reverential saying, “Mitakuye oyasin!” (All [are] my relations). Barb that’s quite an article. Lots of connections to Bill’s writing – seven planets etc. Also interesting note that the original Lakota language contained both a telepathic and verbal component. I’ve heard that the Lakota / Dakota people were originally Basque / european from a long time ago, and there has been artifacts found in North America with basque text on them. I wonder what they would be referring to here? Troy, I thought that was neat about the Lakota language, too. So you’ve heard of a connection ancestrally with the Basque? Pyrenees…one of the places Edgar Cayce readings said the Atlanteans had fled….one of the locations of the 3 hall of records. I didn’t know, but I sure love those people. They were a lot like Vishnu, actually, in having a great role of “preserver”. When they fled the ultimate destruction, they took what they could with them, to preserve history and treasured knowledge. One of my friends from years ago just reconnected with me in December and she happens to be half Lakota/half Irish. She’s a shaman. She has her ceremonial dress and has gone to pow wows. She used to leave me voicemail messages of the pow wow music….I loved hearing the drummers! It just makes your heart pulse in rhythm, with them, so awesome. I enjoyed these stories in terms of the light they bring…..for the whole world to finally know what they (the red race elders) have so long known. I think it just had to be done at the right time, from what they each said, they waited until the signs were there. I’m very glad and feel privileged just to be alive now on earth. I didn’t know that about the Basque text found in North America! I love to learn about all the mysterious things. I wonder what they wrote on those artifacts? I agree, will love to see the day when we do finally re-merge (re-emerge?) timelines and the real truth of who and what we are, and liberation into our greater capacities, occurs. 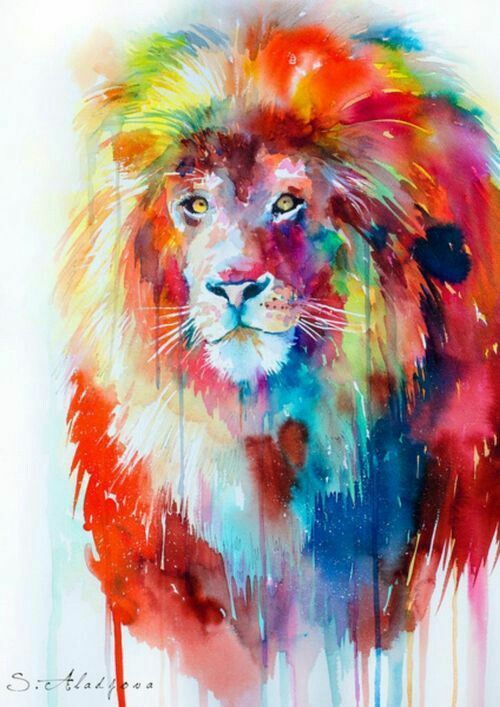 We here are so very fortunate because we have Valiant…..and through him, come Varence, Ceres, Brishan, Kierista, Vala, Rana, Evangella, Venus….the Lion Men….so many more….to inform and guide us! I knew history got corrupted (manipulated!) but to hear the stories helps makes more sense than it ever did before I found Valiant. I have always been fascinated with the bigger picture questions, ancient stuff is appealing to me. Where did we come from, how did we get here, why are we here, why do we return to live again, etc. etc. It is the cautionary notes though, that Valiant shares, that I most try to drill into my head. I am trying to do some of the things Bill shares with us, because I feel that we each have an effect on the big web of life. As Chief Seattle said, what we do to our strand, affects the whole web’s integrity. I am trying to just live a life with integrity and not be more than I am. And I am really not much, that’s what keeps sinking in. That in the big scheme of things, I’m a pebble on the beach of life. I just don’t want to be the irritating sand found in the sandals during the walk on the beach. Although irritating sands is exactly what produces the pearl in an oyster’s shell. God….my super beloved ones, despite of my silence, there are so many synchronicity with them…too many to believe how could / can they be. First, it’s so nice to hear from you, Leonid again and I cannot be sorry even mad for what you have suffered. I guess we all realize that Valiant is such a Valiant who just is used to take up our pains, suffering. And Lida, I can imagine as well, being a mother, how hard it’s for you to be pushed to witness this again and again, but still have to be so collected!!! Here, I want also to address my highest appreciation and gratitude, even praise, to not only Valiant and Valiant’s mom, but also Valkyrie. Without your co-work, how can we benefit from all these precious messages, along with pictures, songs, even communication via these comments and emails. Besides, I want to thank again to the quite precious ones who make this garden be this fertile and beautiful place to gather, to get warmth and knowledge, even memory?!!! It’s Leslee and Dreamwalker, Troy. Leonid, between late 2012 and middle 2014 , I had suffered as well the very aerosol poison, getting quite quite ill. Dreamwaler (Troy) is the very one who first got me from that hell. It took me years to get recovered, via the numerous sessions of toxin expelling. I don’t know if this recipe suits your case or not, there is a kind of green Mung Beans (the species for growing the bean sprouts that we are used to find in CN super markets) which is very sufficient on detoxification. In ancient CN medicine, it’s used to be used this way. As my web connection is quite restricted, if this resonates you, typing the keyword, the more detailed info would be available. In my case, I suffered that kind of poison owing to the permanent bio-attacks. These had never happened to me till the middle 2012. Then the related attacks in various kinds were just occurring quite intensively. I could not but realize all those insects or other beings were rather driven by some kind of waves. I tried lots of means, then still could not avoid the last means that I would take…That personal choice was made twice, and the very accidents just happened when I was using the aerosol of poison. As you see, the suffering could last that long. I was not the only one victim, there were then the official intervention, even just by my definite departure. So that just occurred on and on and on that I could barely get out of. I hence was quite affected by this very very toxic, being exposed in the permanent toxic circumstances. Then thanks to some spiritual friend that I’ve never met, I just fasted for several sessions of this kind of one week long fast and could relatively get recovered. Every time, even the latest illness, originated from my eye inflammation, my nerve system just had few ways to shun the affection. Dear Robin, God, you know, right the day before you posted the video about Krishna, I just met a spiritual friend whom I had never met. It’s right her spiritual approaches to chant the name of Krishna. She came here for a conference, and I, owing to my quite occupied schedule, had thought we would not be able to meet this time again. However, we still took time to take lunch together. She brought her colleagues, asked me if I know any vegan restaurant here. I knew one, but don’t like it quite much, so just chose another one that I still had never visited. It turned out that this one should offer free meals, but what they offered was going to be finished. This restaurant was run by the ones who would like to educate how to cherish foods. It’s somehow embarrassing for her colleagues who are not used to this culture that the foods in the plats and bowls should be all eaten without leaving any remnant. I’ve been well trained in Monastery about this kind of habit, hence don’t feel any difficulty. Nevertheless, the lady who was embarrassed most chose to donate quite sum of money to them, for showing her apology of being unable to finish all the food, and soup in the bowls. I’m quite touched for her kindness. To Robin & Barb…& Dreamwalker, as well as Dave….you all are helping me to put all the fragmentary pieces together. Barb, honestly, you are just reminding me of something that honestly never have I thought about…..What a divine call via you to me !!! There are some other numerous synchronicity with you all. Like the latest one in which Dave just talked about “briny waters!” God, two days ago, one geo-historian specialized in Salt on the Western Regions was just talking about it with me !!! Not only so, when talking with him, I somehow realized or seemed able to put more pieces together. 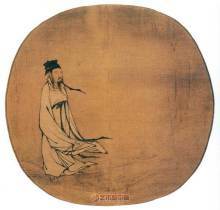 For example, I somehow felt he was the disciple along with me in the same Taoist school in 13th century. I in fact had happened to have some traditional initiation in the school too in the end of my teenage or early 20s’, and had been given a book and two scrolls by our Master, one in the subject of a dragon, since this is Dragon Gate School, whereas another one is somehow a Taoist manual of meditation. In CN, this kind of scroll is Calle 內經圖 or 內景圖, since it reflects the possible path (visions) that the disciple is going to encounter when taking this inwards adventure. In regards to that book, God…..it’s once lost or so neglected in the empire. Then it’s a German who did the translation first into German, then there was English version and finally being translated back into modern CN. The title of this book is “The Secret of Golden Flower (太乙金華宗旨), ” whereas the content, the very Manuel of practicing, enhancing the spirituality. In fact the first two characters, 太乙, is the Great/ Ultimate One, whereas the 金華 is the Golden Flower. 宗旨 means “tunet?” Or something like that. I could not be shocked more for there is something/ subject that I’ve studied for almost half of my life so far abut could not make out in my professional vector. I’ve never been able to put my spiritual life with this together. Then it turned out that again, when returning back home with my parents, I should have seen again this picture in book which collects the occultism of various cultures. I could not recall any more when even if this is I who had bought it. The most astonishing part is in fact the poem written on the Manuel scroll on spiritual inwards adventure of meditation. All the codes can be find their analogues on the stuffs that I’ve been studying via archaeological discovery. So, the keyword here for me is the GOLDEN FLOWER. God, though I myself want to laugh, the truth is what occurs to me is that Manual of SUNflower, the very wanted treasure, presented in the martial-arts film that I just posted two weeks ago. Sorry and sad for being unable to give you any English presentation, owing to the firewalls. I’m so drained for having to struggle to break through that wall…but, I could not make it. Should I regard this as lucky that I still took a glance at some videos that you just posted. Now, the air is somehow tensed here, for there are lots of things which are forbidden to talk about. Something which might resonate with what Varence just said in this session. In Sunday morning (March 5, 2017), I just dreamed of taking plane back to where I had stayed for about 12 years for finish or fix something. After waking up, if felt such like the very last episode of the TV series, Lost, as something of which Julie just pressed the bottom, and all the ones just re-live in a better time-line !!! Pity that this sense of mine doesn’t last long, as I’m again so troubled with the web and all other things. There are some more synchronicity in the last days, however, being unable to write them down immediately, particularly, my thought get much disordered and less linear, I seem to have lose them mostly. There is one which is still available for me is the article released on March 6 (yesterday), by lochsplus on WordPress, in the title of “Joyful Journey : Part 16 —Scotland’s Sea Kingdom : The Ardnamurchan Peninsula, Headland of The Great Sea.” She talked about Volcano, Sea, …that I just had dreamed of. Sorry that I have difficulty to get the address for you. Barb, how precious the aborigine prophecies that you just brought. I cannot thank YOU ALL who are helping me to not only enlarge my knowledge, to discover more lost or neglected pieces of my life and the world. I cannot reach the Far West to me, neither the Far South. How much I miss the lands, islands enclosing the Mediterranean, the ones living there !!! So, dear Suzanne, Leonid and Nando…and more in the southern-semi-sphere, more stories from you would be awesome….More stories from all the lands are all so expected. Please tell us more. How could I know there is a Goddess from the Tropical isles which I can be so intimate with, if I could not met Dreamwalker, then more and more about the prophecies, myth from the far lands from my origin, like HALCYON & more by Robin, Alice & more by Dave. My life could never be able to be so rich if I didn’t met you !!! Dear sister P, again and as always, your comfort and giving the light, showing the way, just mean so much to me !!! Brianna,Terraseed, Mary, Mildalove, Stefan, tathasthu, Tomaz, David, R.C…..my best blessing to you, too and may the day to see your words here soon !!! Though I in fact didn’t finish what I’ve been thinking to share, getting short-circuited again, I cannot but finish this talking here. You all are in my mind that I miss so. Here, I just want to say…I KNOW, and only appreciate and miss more !!! Please take care !!! God, dear Dave…..I just knew that you are going to help to make much more sense of…. Though I don’t have this right to ask, but please….please stay longer…..please….I ask for in tears…..and thank you and Fran for this super mercy to…. As I have some urgent work to fulfill soon, cannot but leave this unfinished comment here as soon as possible. Thank you Dave for giving such immediate even series of guides !! The part as follows is what I just wrote…as a supplement. I’ve never thought to be capable enough to study this picture, as I have never dared to believe that I can make any sense of it, via solid practice and accurate comprehension. Now, I seem to be driven to have a literal study or even concerned practice, taking the very teachings which have been given ?!!! I forgot referring that the weaver maiden (Vega) depicted in the lower center beside the bush and the cowherd (Altair) driving an IRON buffalo, planting the coins/ money, a little apart from that bank (of Celestial River / Milky Way) are related to the myth of double seven. Or vice versa…but in my sense, it seems not. Or, there are some other interpretations. This picture is either studied by the CN medicine or scholars on Taoism. Pity that I’m quite sure without the very solid faith and practice, it’s somehow just less possible to accurately get the very essence of it !!! In this painting, the inferior part reflects the South, where as the superior part the North. So the JOURNEY IN THE INWARD COSMOS begins from the bottom, the South, then the series of both spiritual and physical tests, practices are proceeded towards the North. In the beginning, there are a couple of a girl and a boy who are working together, stepping on the watermill, for irrigating the homeland. The very practice is leading the water, flowing or steaming upwards. I cultivate the field of my own where there are going to be the spiritual sprouts which would live for thousands of years. Their flowers [in the field of home] look golden, not big, whereas their seeds all look like jades, and the fruits are all round. It all depends on the EARTH IN THE CENTRAL direction…. In the course of moving upwards till the upper part, then a Caucasian Monk with Green eyes, raising the asters (sun and moon?) in the sky, then Laozi with the brows which are long enough to reach the earth are going to be seen. Laozi was sitting right at the foot of the mount with 9 peaks. In reality, it’s as well the very home land of Master Lü Dongbin looks like. Dear Dave, you in my this life, particularly in the path of enhancing my spirituality, even reviving me, are just so ESSENTIAL !!! How can I thank you enough !!! Please take care, be safe, healthy and happy !!! A LITTLE HISTORY ON MYSELF_____ENTERED THE HOSPITAL ON FEBRUARY 14 2009 BECAUSE SUFFERED A HEART ATTACK 2 DAYS EARLIER. HAD TRIPLE BY_PASS OR “BYE”PASS SURGERY. OPERATION DID NOT GO WELL—LOST TWENTY SEVEN PINTS OF BLOOD—2 AND 1/2 TIMES WHAT A BODY CONTAINS. SWELLED UP 2 TO 3 TIMES MY SIZE. COULD NOT CLOSE ME UP. WAS PUT IN A MEDICAL INDUCED COMA FOR 8 DAYS. COVERED MY HEART AREA WITH A RUBBER BOOT. TOLD MY FAMILY THAT “IF” I CAME OUT OF IT I WOULD PROBABLY BE VERY ANGRY AND WOULD NOT RECOGNIZE THEM. DOCTORS COULD NOT GET MY BLOOD TO COAGULATE. 19 HOUR OPERATION. WOKE UP AND WAS VERY CALM AND MY WIFE WAS STANDING BY MY SIDE TELLING ME HOW BEAUTIFUL MY EYES WERE. MY SISTER IN LAW WAS IN AND TOLD EVERYONE THAT I WOULD NOT MAKE IT. LATER SHE TOLD ME AFTER MY WIFE PASSED ” GOD SURE HAS BEEN GOOD TO YOU DAVE” I REMINDED HER MY WIFE WAS TAKEN AND HOW GOOD WAS THAT> SO I QUESTION EVERYTHING BUT KNOW THE DIVINE ONE WITHIN KEPT ME SPENT 42 LONG DAYS DURING THAT STAY. MY DAUGHTER HAD A DREAM A COUPLE OF DAYS BEFORE I ENTERED HOSPITAL. IN HER DREAM SHE WAS TOLD THAT I WOULD ENTER THE HOSPITAL BUT WOULD COME OUT FINE AND LIVE A “LITTLE” LONGER. DID NOT HAVE A NEAR DEATH EXPERIENCE> ONLY THING I REMEMBERED WAS MY WIFE’S AND DAUGHTERS FLOATING HEADS AND PAINTED UP FACES> THIS BLOG FROM AN ARTICLE WAS BROUGHT TO MY ATTENTION SHORTLY THEREAFTER> SYNCHRONICITY??????? DIVINE INTERVENTION, THE DIVINE DECREES IN MANIFESTATION~ This is Our Year! On February 14th 2009, The Divine Decree’s were Born to Jump Start the Energy of Divine Intervention into Manifestation. 2014 is when these Decree’s finally Manifest into the Physical, Here we Go Everyone! Ready or not! I would say that the key message of Avatar is to teach us to appreciate and respect the balance and beauty of life, which is a universal message given to all men, and one I believe comes from the Christian God (as a message that does not save, but only convicts us of sin). Avatar does not mock spirituality in any way, and does not overtly lean towards any particular religion or philosophical system. HAS BEEN RAPTURED. THE BODY COULD BE DISSOLVED IMMEDIATELY AS WAS DONE WITH JESUS. THE FAMILY WOULD BE VERY DISTRAUGHT IF A PERSON TURNED UP MISSING. INSURANCE PURPOSES AS WOULD BE DIFFICULT ON FAMILY WITHOUT A BODY. WAS WATCHING A CHRISTIAN MAN AROUND 65 YEARS OF AGE ADMIT THAT HE WOULD TEAR UP A LOT> VERY DIFFICULT FOR A MAN. I DO CRY LIKE A BABY AS IT IS A STRESS RELIEVER AS WILL AS AN INDICATION THAT A PERSON IS CONNECTING WITH THEIR FEMININE SIDE WITHIN. Something just occurred to me in this thread…why this sect / school that & this life times. It feels like a very cycle. Not only then, but also now, It’s always to MEND the hostility between the diverse big ones. I HAVE WHAT IS CALLED A PHOTOGRAPHIC MEMORY. BUT I MUST TELL YOU IT IS NOT MY MEMORY PER SE BUT IS THE MEMORY OF THE GOD SPARK WITHIN MY MIND. IT CAN AND DOES FLASH BACK TO MY INTELLECT SITUATIONS IN THE PAST EXACTLY AS THEY TOOK PLACE> I CAN SEE THEM AS CLEAR AS WHEN THEY HAPPENED. MANY MANY TIMES AND TOO MANY TIMES ON SOME THAT I WOULD LIKE NOT TO REMEMBER. Dear Dave, how honored I’m, being a Buddhist-Taoist disciple, I can have you, such a wise and gentile Christian Western Romantic Elder to guide me, teach me to see, to make more sense of the universal. As you, after posting the last comment, I was tearing all along. What’s in my mind is…lot of things, including the possible occurrence in other timelines ?! “La Dame Blanche” was inspired by the Outlander series. “The White Lady” reflects a mythic love that spans time and space. WILL PRESENT THIS VIDEO WHICH IS NOT FOR ALL BUT HIS VIEW ON WHAT HAPPENS TO THE BABIES THAT ARE ABORTED IS HIS PERCEPTION BUT DOES OFFER PROOF THAT THE CHILD WITHIN IS FROM THE ETERNAL ONE AND RETURNS TO THE SOURCE. THE SPIRITUAL TRUTH OF JESUS AS THEY REFER TO HIS TERRIBLE SWIFT SWORD. OBVIOUSLY HE DOES NOT NEED A SWORD AS SUCH. an unintentional error regarded as revealing SUBCONSCIOUS feelings. 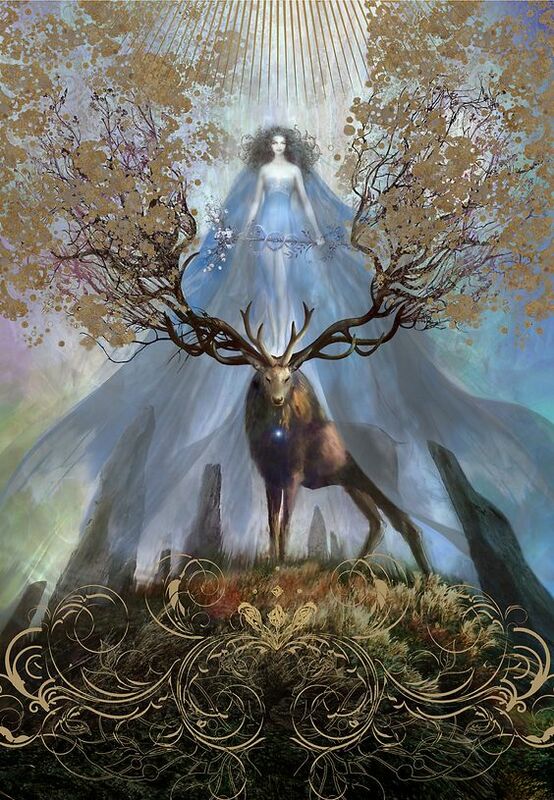 Beautiful links, comments and pictures Feilla, Dave, Spiritwalker and Dreamwalker. Please forgive me if I seem a bit aloof towards you Leonid. I believe what you have experienced, I just have not encountered it as personally as many. Very glad you are doing better, and that there are commentators here that can offer you their support. I held back on sharing this to see if it might come up in the comments, but…as I understand it, and read through various sources over the past 8 years…Vishnu reincarnated as Krishna, and it looks as though he incarnated as Jesus and the Peacemaker…It would certainly explain how Hiawatha, quite possibly, via the Peacemaker, came to have knowledge of Psalm 22…”He will cry out…My god, my god…why have you forsaken me? !” This was the line that most jumped out at me when I first found the Song of Hiawatha XII…” The Son of the Evening”. Oh, how I wish I could show the entire prophecy to all of you exactly as I found it…but it is gone from cyberspace. It is very interesting to note, however, that in the Harry Potter movie…”The Order of the Phoenix”, Harry is told that the reason Voldemort needed Harry to recover the prophecy regarding Harry and Voldemort was because, “PROPHECIES CAN ONLY BE RETRIEVED BY THOSE WHOM THEY ARE ABOUT.” I do not wish to share with you what Hiawatha’s song said in order to “blow my own horn”, i.e. draw attention to myself, but that Native Americans knew of the Christ before Columbus or church missionaries came to North or even South America or Mexico. Maybe the “church” ought to remove their fingers from their ears and listen to our Indigenous Sisters and Brothers…I gave up trying to share what I learned from them with the members of various denominations. So frustrating, and so sad. While I have much resentment toward religion and the abuses of the church and many doubts and misgivings regarding holy texts and how they have been worded, interpreted and portrayed…I do believe in a Mother/Father Creator and the Avatar Christ, as well as many others, that have come to help us find the light or, GOLDEN ONE WITHIN, as Dave so beautifully depicts this concept. I have had two direct encounters with THE GOLDEN LIGHT in my life, once early in my twenties and again in my late thirties, very warm, loving, peace-filled, nurturing and protective. I do BELIEVE. I AM JUST FED UP WITH LIES, LIES, LIES, LIES! I agree Dreamwalker. Great quote. I just wish to point out here, to any new readers, that the link posted above by Dreamwalker is Longfellow’s version and it is GREATLY corrupted…very little of it is true to the original which was IN FACT a PROPHECY. Having browsed through Dreamwalkers link…it is even MORE corrupt than the books by Longfellow that I have read! SHEESH! Only a few of the names are the same…her name was not Oweenee…in fact, her name wasn’t given at all! She was simply referred to as “this girl with the wind beneath her wings.” SHAME ON THE MAINE HISTORICAL SOCIETY…You call yourselves Historians???! One good thing that is coming out of all this is that, in this case, I can clearly see how badly distorted our myths, legends, sacred texts, etc. are being DELIBERATELY and VICIOUSLY changed into OUTRIGHT LIES! Talk about an “INFO WAR”! CRIPES! Who’s the Maine Historical Society working for VOLDEMORT? For a time I sought to draw the nations of the North American forests into a pre-existing reality that the Ongwhehonwhe had once experienced. I knew that my efforts could only partially succeed during this age when the dominant human vibrations were fearful, but I also knew that the mission I set out to accomplish could greatly reduce the trauma of the pending European invasion. A confederacy of peaceful and cooperative tribes along the North Atlantic seaboard would provide a powerful center from which our energies could radiate during the troubled times that were approaching. Conceivably, our influence could spread from such a center, perhaps in time even reaching beyond the Great Lakes to touch the Mississippi and the People of the Plains. In addition to the immediate value of the confederacy to its member nations, the principles that guided the confederate tribes would help to reduce the violence that would most likely follow in the wake of the massive European migrations, which were now but a few short centuries away. The confederacy would heighten the level of conscious exchange for all the people of North America. It would establish a precedent in human consciousness, a template, a pattern that would subtly affect human thought for generations to come. It was a goal worth attempting. Even partial success would be of substantial long-term value. I gathered my awarness and prepared for my descent. I caused my spirit to glide across the forests of Ontario. From a tribe along the northern shore of the great inland sea, I felt the welcome of a family, strong and brave. I was born and raised in the Huron way. In a Huron village, I lived. As he who is now called the Great Peacemaker, I traveled among the Iroquois speaking nations. I reminded them of the winged tribes available to help them and of the sacredness of all life. I taught them that warfare makes one as vicious as one’s enemies and that to fight for any reason other than self-defense is to become what you detest. Robin, around 2003 he revealed to me that he was also Krishna,Quetzalcoatl, Thoth~Hermes (Mercury, messenger of the gods), and Melchizedek King of Salem (who had no earthly mother or father). If he is indeed Krishna then he is Vishnu, the Preserver…..Peacemaker….Prince of Peace. He is said to have one more, the 9th life, to return as. Oh my Spiritwalker! Thank you SO MUCH! I am going to have to order that book. If he is who I think he is, then he is here already. He has a very Feline manner about him. He admitted to me that people compare him to Mountain Lion when he does Spiritual Warfare. Mountain Lion is a strong and quiet leader. He does spend much time in the mountains. I read, that in many Native American cultures, Mountain Lion is also known as the “Ghost Cat”, Ghost Cat is very feared by evil shamans. I’ve seen people that were practicing evil magic cringe from pictures I had of Mountain Lions…so , in my own personal experience, this is true. FEEL THE SAME WAY AND AND IS AS MUCH HUMAN AS ANY OTHER PERSON BUT CAN NOT SEE THE ONE WITHIN THAT IS GUIDING THE PAIR ALTHOUGH ONE REMAINS “HIDDEN” FOR A SHORT TIME. DOES YOUR YOUR VIDEO HOLD A HIDDEN MESSAGE IF IT DOES KEEP THAT PRIVATE FOR A TIME. Good! I’d sure be glad to know he’s returned and just hope I get to meet him one day. I was glad that Varence brought up how Valiant had invoked Vishnu, because the first time I really didn’t make the connections, but when Varence returned my thoughts to the subject I decided to research a bit, and was SO happy that I did! I also found images of Vishnu, I do love Google for making it so easy to see all related images at once! I saw him…..with a Lion’s face…..he IS a Lion Man! Hopefully I’m not stealing some of their thunder here. hehe I’m looking forward with huge anticipation to today’s Valiant message. Praying for him, as always, that his life be made much better than he has even dreamed. Robin, a friend of mine years ago had that book Return of the Bird Tribes pop out of its shelf in a bookstore as she walked by, and she intuitively knew to buy it and send it to me. Her guides told her that I needed it. It was really a blessing for me. I had synchronicity happening as I read it, you know the Universe echoing back to me as I turned the pages, of other happenings and revelations. I do love the God in surround sound thing! That book along with many others helped meld me into being far more aware. Religions can be so limiting, but also they are stepping stones. I appreciate the knowledge conveyed by those with the ability to be a channel for higher power, quickening frequencies. It’s interesting to hear about the role Mountain Lions play. I live below one of the tallest mountains in my part of Vermont. They say the mountain lions haven’t been here in over 150 years but many report them, it’s just the wildlife biologists need “hard evidence”. Maybe it’s because the sightings are of them as the Ghost Cats. Every time I use my link to come here to Troy’s blog, from my row of favorites that pop up (places I visit constantly! )…..it brings me to March of 2016….with the Spirit Wolves and Native Shamans story. Robin, I am not sure, but I really don’t think he is here yet. I am expecting him to come with a starship, and possibly look slightly different than us, although definitely human. That’s just me, though! He always said when I see him I will know him, because I will feel it. Many will come deceiving. As Valiant cautions don’t trust everyone you see coming in starships! Beware of the triangle/pyramid ones. And beware of anyone who wants to take you off planet, unless they are speaking with the voice of the Great Spirit that you hear in your heart. They can even use our own thoughts to deceive us. We have to be very careful that we do not willingly go with just anyone who shows up in a fancy “car” from the stars. I’m really hoping that Valiant, Varence, Brishan, Ceres and all who apparently want what’s best for the whole (the entire Universe, for that matter)….will keep helping us with our discernment. I’m going to be using Valiant’s amazing artwork to guard and protect me from evil, and praying too. Praying for all of us that we all shall be delivered from evil. When I pray and ask for things, it’s always for all of us. For peace in every heart, and peace on earth, good will to all mankind…..everywhere. Have a peaceful day, dear friends. I am going to post this link here again for any readers that may be interested. THIS TESLA STORY HAS A HUGE MEANING OTHER THAN WHAT THE WORDS ARE SAYING. TESLA’S INTENT IS BIG AND PLAYED INTO THE RESULTS. OTHER THAN THAT FORGET TESLA FOR A MOMENT AND CONSIDER THE FOLLOWING QUESTIONS. HOW COULD HE MISS BY THAT FAR????? WHY DID IT HIT AN UNINHABITED AREA SO FAR AWAY????? WHOSE POWER IS THE ATOMIC BOMBS??? COULD THEY ALL BE CONTROLLED BY THE TRUE OWNER OF ALL IF IT CHOSE TO??? IS THAT TIME NEAR AS COULD RENDER ALL USELESS IF IT CHOOSES FOR THE BETTERMENT OF ALL HUMANITY??? ?